Michał Jodłowski Wicemistrzem Świata Juniorów. By winning the last race of the Finn Silver Cup, Martin Robitaille didn't leave any doubt that he truly deserves the Finn Junior World title. Despite a difficult start with an OCS, a penalty from the jury and one from the measurer, the Canadian was able to bounce back, winning four races and the title. Competition was tough with strong opponents like the current European Champion Michal Jodlowski (POL) second overall, 2011 Junior World Champion Arkadiy Kistanov who takes the bronze, or early leader Lennart Luttkus (GER) in fourth overall. “It was a tight event and I am happy that I was able to stay focussed. Results were up and down for most sailors, but I gained confidence and sailed well.” said Martin Robitaille. Canadian and Russian on equal points for World title! Tomorrow, the last race of the Finn Silver Cup will decide who will take the Junior World Championship title! Canadian Martin Robitaille and current World Champion Arkadiy Kistanov (RUS) are on equal points. Robitaille is leading on count back with a third victory today in the breeze. European Junior Champion Michal Jodlowski (POL) is only one point behind, adding more pressure to tomorrow's final race and battle for the title. Today finally saw some good breeze increasing to 14 knots on the second race and the raising of the Oscar flag, allowing for free pumping. Anders Pedersen from Norway sailed his best races with a win and a third. Another one to enjoy the breeze was Peter McCoy (GBR) who scored a third and a second place to climb to eighth overall. The first race started with medium wind and a windward leeward course. Anders Pedersen (NOR) was third at the top mark, behind Russians Arkadiy Kistanov and Andreii Ianitki, but passed them on the following legs. “Today was a better day for me, “explains Pedersen. “All week I have been fast but at the wrong place! The wind was still very shifty and tricky on the downwind today but I managed better! Ianitkii (RUS) placed second and Peter McCoy (GBR) third. Tomorrow's only race will be decisive for the title, only one point separate the top three and early leader Lennard Luttkus (GER) is only five points behind in fourth position! Explaining his day and his second victory, Arkaiy added: “I started on the pin end to get to the left where the wind was more favourable. I was leading at the top mark and tried to control Milosz (Wojewski).” The two Polish sailors Wojewski and Jodlowski crossed the line in second and third position. Second and third place in race eight went to Martin Robitaille (CAN) and Thomas Morel (FRA). The fourth place goes to young Austrian Nikolaus Lehner who sailed today his best race in the event. The Canadian has now taken second overall and is only one point from Kistanov (RUS). Early leader Luttkus (GER) is in third place. Two races are scheduled for Thursday 5th of July. World Champion Arkadiy Kistanov comes back into contention. Current World Champion Arkadiy Kistanov (RUS) is coming back, now only seven points behind regatta leader Lennart Luttkus (GER). The Russian enjoyed a good day taking the bullet in the first race and finishing fifth in the next. After a clear start, Kistanov played the shifts well and pressure in a medium breeze, to take the lead from the first mark to the finish. Never really threatened the World Champion covered his track and didn't allow compatriot Andrei Ianitckii (RUS) or Canadian Martin Robitaille, respectively placing second and third, to pass him. The second race started after a change of course to allow for the constant wind shifts. A group of six sailors lead by Milosz Wojewski (POL) played the left of the course to pass the top mark in front of the fleet. With a yellow flag collected in the previous race, Wojewski played it safe on the downwind; allowing Cem Gozen (TUR) to take the lead. The Turk kept the first position until the finish with second place swapping from Dimitar Vangelov (BUL) to Peter McCoy (GBR) and finally Michal Jodlowski (POL) at the finish. Regatta leader Lennart Luttkus (GER) conserves first place overall with a seven and tenth today, but now only has a seven point lead. With five more races scheduled, the title is still wide opened. Two races are scheduled for Wednesday 4th of July. Canadian claims the day but German keeps lead! Canadian Martin Robitaille claimed the day with two victories in today's light races. “I had an excellent day, everything came back together. I was calmer and less ambitious, taking what I could on the water and in the end it paid off.” explains Robitaille. The conditions were difficult again, with wind averaging five to ten knots and varying across the course. The Russian placed second with Lennart Luttkus (GER) third. Race two started at the third attempt with the shifty wind, penalising three sailors for premature start. Martin Robitaille (CAN) took a great start at the pin end and went on to take his second win of the day. Sergey Akulinichev (RUS) placed second with Lennart Luttkus (GER) in the top three again. The German has increased his lead to 24 points while the score between the next ten sailors has tightened. The top seven have yet to win a race and with a discard tomorrow, after five races, the results could see some changes. Lenart Luttkus (GER) takes early lead. German Lennart Luttkus takes the lead of Junior World Championship after consistent races on the first day of racing in Maubuisson, France. The championship started with nice but tricky conditions on the lake. Difference of pressure and shifts over the sailing area made it tough for the young sailors. The first race gave the choice between the right with more pressure or the left with a more favoured angle, sailors spread over the course, some taking drastic options on each side of the frame. The race winners came back from the left side on the third beat. Cem Gozen (TUR) was in front of the fleet for the last downwind but failed to pass through the gate before crossing the finish line. The young Turk who switched from the Laser to the Finn early this year, will face the jury later tonight. He bounced back in the second race with a fifth place. Meanwhile, it is James Hadden (GBR) who took the bullet closely followed across the line by Lennart Luttkus (GER) and Milosz Wojewski (POL). Anders Pedersen (NOR) suffered from minor equipment failure and had to withdraw from the first race. Vice European Champion, Dimitar Vangelov (BUL) recovered in the second race after a difficult first one. The Bulgarian lead from start to finish to take the bullet and place 8th overall in the general results. Viktor Filippov (RUS) and Lenart Luttkus took second and third in the race. At the end of the day Lenart Luttkus (GER) is leading the regatta by four points over Viktor Filipov (RUS), Milosz Wojewski (POL). Racing continues on Monday with two races. The 2012 Finn Silver Cup is set to start on Sunday in Maubuisson near Bordeaux, France. 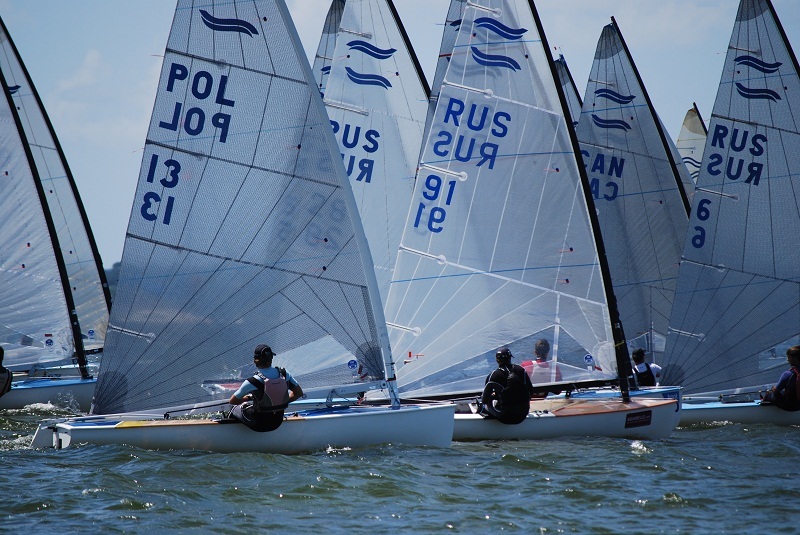 A small but talented fleet of 24 boats and 12 nations will race all week on the Lake for the Finn Junior World title currently held by Arkadiy Kistanov from Moscow. Many sailors can claim the title and the 11 races scheduled in the championship promise to be fiercely contested. The European Junior Champion, Michal Jodlowski (POL) or vice Champion Dimitar Vangelov (BUL), Patrick Deutscher (CZE), Anders Pedersen (NOR) or Martin Robitaille (CAN) who have all sailed most of the international events this year will start as favourites. Russia is once again coming with a large team with eight sailors. Among them defending champion Arkadyi Kistanov will be able to enjoy again his favoured lake conditions, similar to the ones from his home club in Moscow. Third at the Junior Europeans, Andrei Ianitckii will be another one to watch. Among the youngest in the Finn fleet the Kotlyarov brothers from St Petersburg (16 years old) have been improving since the last Silver Cup in Moscow and could create a surprise. After two days of measurement, most sailors took part in the practice race this afternoon with a perfect breeze averaging 15 knots. The starting line was crowded and most over when the gun set them free on the course! Viaceslav Sivenkov (RUS) was first around followed by Anders Pedersen (NOR) and Cem Gozen (TUR). Brigitte Viaud, President of the host club, the Cercle de Voile de Bordeaux, declared the championship open during the opening ceremony and defending champion, Arkadyi Kistanov, presented the Silver Cup to the Club. Racing is scheduled from Sunday 1st to Friday 6th of July with a total of 11 races. The 2012 Finn Silver Cup (Junior World's) will take place in Carcans-Maubuisson (near Bordeaux) France, from the 29th to the 6th of July 2012. Juniors have to be 21 years old and under in the year of the Championship. Please see below the link for the event. 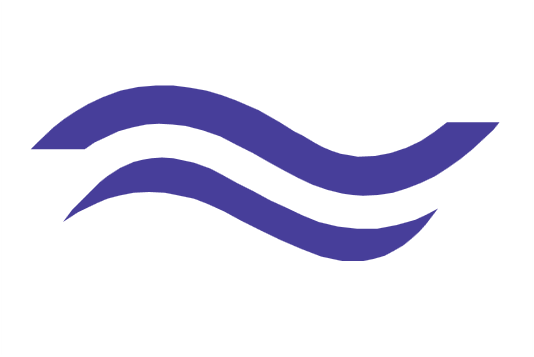 Six boats will be available, free of charge for overseas countries and developping sailors. A training camp will be organised a few days prior to the event. Please distribute this email to your Finn Junior sailors and Laser coaches who might want to have suitable sailors trying the Finn. Please contact me if you need further informations.